Racing-derived tread compound helps to deliver superior performance in dry and damp conditions and provides consistent lap times. 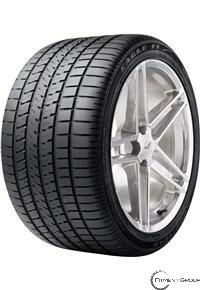 Asymmetric tread design with large and aggressive pattern ribs helps to provide phenomenal grip and precise steering response. Uniquely designed large outside shoulder and centerline blocks help to deliver maximum grip while cornering and exceptional dry handling stability. Combination Grip Technology helps to provide superior grip while cornering, allowing the vehicle to maneuver with more confidence under corner braking and acceleration.